Die Loesche Group ist ein mittelständisches Unternehmen mit rund 850 Mitarbeitern und Sitz in Düsseldorf. Sie entwickeln Mühlen vor allem für die Zementindustrie. Klingt langweilig? Das sehen die Fans in Social Media ganz anders: Allein auf Facebook hat Virginia es geschafft über 100.000 Fans zu gewinnen und begeistert sie immer wieder aufs Neue. So entstehen teils Interaktionsraten von denen sich so mancher Konzern was abgucken kann. Virginia wird ihren Vortrag auf Englisch halten und dafür extra aus Madrid zu uns zu kommen. Unten findet ihr daher weitere Informationen auf Englisch. Wir freuen uns sehr und sind unheimlich gespannt, zu erfahren, wie sie es geschafft hat, ein kleines B2B-Unternehmen über Social Media soweit zu bringen. 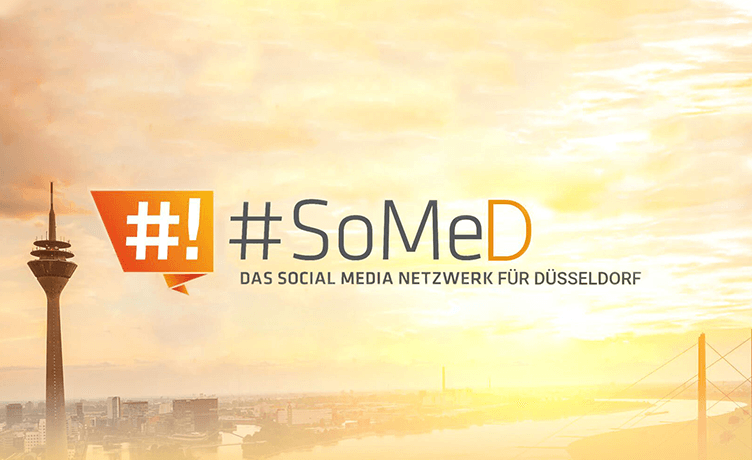 On Thursday, 21 September, we will have our 17th Social Media “Stammtisch”. It is a special one, as we will have a true international speaker with us flying in from Madrid. Virgina Zuloaga does the magic behind the social media accounts of the Loesche Group, a German engineering company focusing on developing and manufacturing mills for the cement industry with around 850 employees around the world. The word “industrial” has been barely associated with terms such as “popular” or “social”, but the story of this engineering firm has proven otherwise. Starting from scratch with a little more than a 100-follower community on the main social networks, the Loesche Group today counts with the steady support of more than 100.000 community members on Facebook alone. Having been “behind the scenes” of the Loesche Group social media profiles from the start, Virginia will share with us her experiences promoting the social media presence and growing the communities of the German engineering firm. Loesche, hugely benefits from the implementation of online and social media strategies enhancing brand exposure, from building relationships by exchanging knowledge, opening channels of communication for customer support, and staying on top of the market trends and consumer insights. We will be opening the doors at InVision at 6:30 pm. Virginia’s talk will start around 7:15 pm. InVision offers a tour through their Silicon Valley style office at 6:40 pm. So be on time – it is worth it. After the talk we will offer a few bites to eat form the famous InVision Chefs with great opportunities for networking. “Showcasing a brand, personal or commercial, on social networks can be a challenge. But in the digital world there is a spot for every one of us”. Meet Virginia: a combination of classic and digital marketer, and owner of Brieffin Consulting, an Online Branding Agency based in Madrid with a focus on industrial B2B companies, personal artist brands and startups. You can find InVision at Speditionstraße 5, 40221 Düsseldorf. From Düsseldorf Main Station you can take the tramp 707 directly to the stop Speditionstraße. But also the stops Franziusstraße (tramps 707, 706 and Buses 723, 726, 732) as well as the train station Düsseldorf Vöklingestraße are around the corner. Please sign up on Xing, via e-mail lamerz@hashtag-some.de or hinsken@hashtag-some.de, or on our Facebook page. Space is limited so kindly sign out again in case you cannot make it so that we can offer your space to someone else.